I confess I'm a fair weather walker, which means I often want to walk on our holidays, but whether we go is always dependent on the weather. I have a Goretex jacket but it's like a talisman. I own it, but I don't want to wear it and I hope vainly that just by having spent so much on it an schlepping it with me that it's going to ward off the rain! As you can see my travel planning involves a good deal of "magical thinking!" In California our cultural exuberance (paired with low standards) means we shamelessly call anything a "hike" - as if we've scaled Everest in an afternoon. Here in England I'm not sure I even qualify as a "walker" because that denotes a level of seriousness I've failed at previously. Minimally it means you're wearing boots and have an Ordnance Survey map (and possibly a compass) in your back pocket. I guess I'm more of stroller to be honest and I've blogged about my strolls all over the world; meandors in France, searching for history in London, heritage in Burma and Bangkok, strolls on the California coast and one hike I was lucky to have survived in southern Colombia! 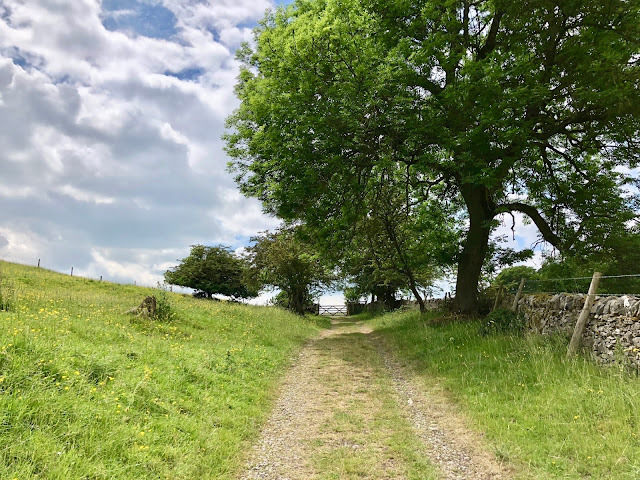 On our recent trip to the Peak District in England (Derbyshire) we took a six mile circular walk from Haddon Hall, a glorious country estate known as one of the most complete medieval manor houses in Britain. 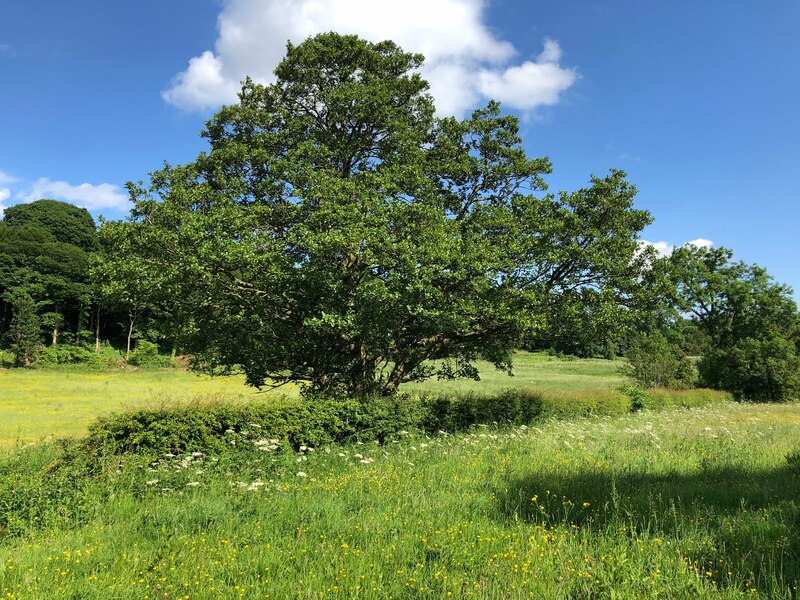 I've blogged about the Hall here it's somewhere very much worth visiting and combining it with this wonderful walk makes for a great day out. As usual we took local advice on where to go, but you can find an outline of the walk here. Online the description runs to and from Bakewell, however we took it from Haddon Hall, up Over Haddon, down into Bakewell and back down along the river to the Haddon Hall where we started. 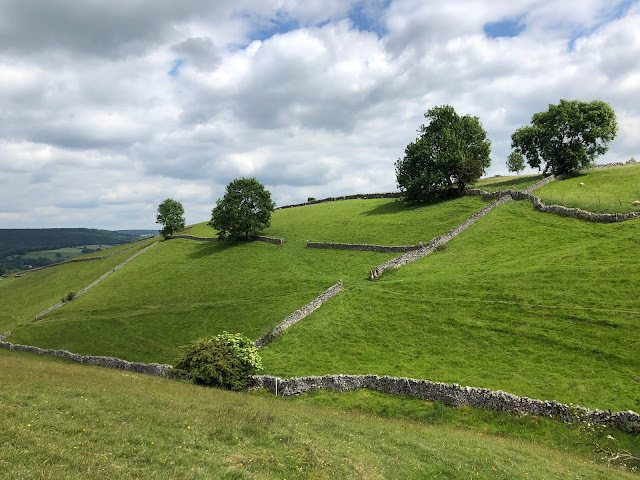 Whether you start in Bakewell or Haddon Hall it's the same loop. Conveniently the walking path started right next to the Haddon Hall car park. As you cross the road from the house, you'll see two gates on the right hand side, on the edge of the car park. Here, as you climb the hill you'll get a view of Haddon Hall if you look back down into the valley. Continue through several gates and then a series of large fields. 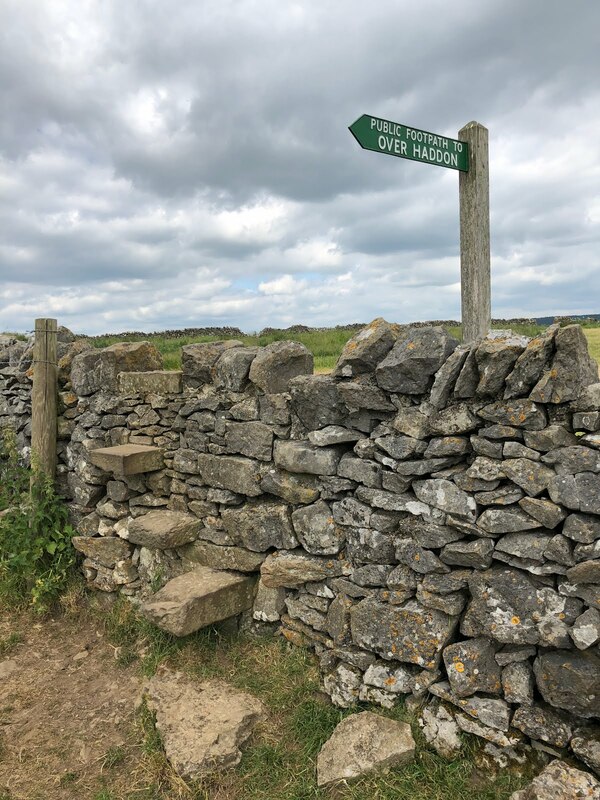 One of the wonderful things about walking in England and Wales is that you have the right to walk on private land where ancient "rights of way" prevail. Essentially this means you're walking across farmland where you won't always be able to see a distinct path. 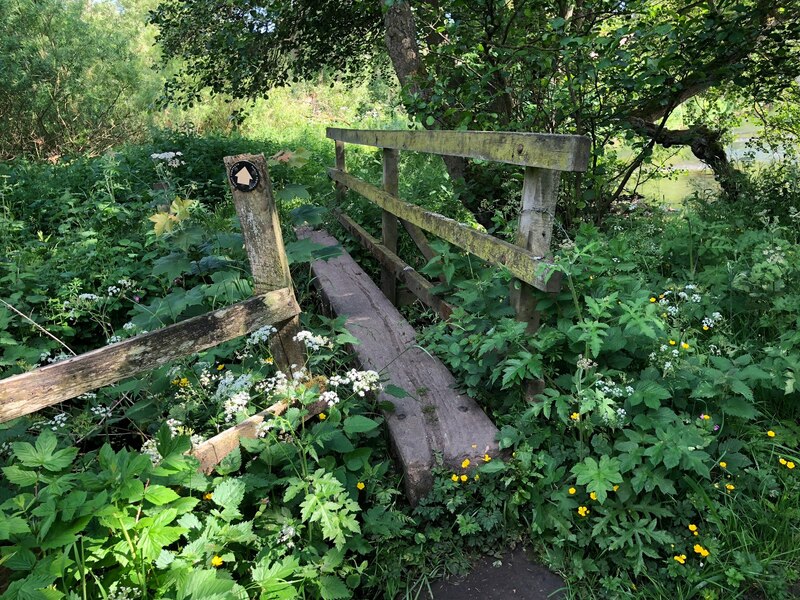 You'll be looking out for stiles to cross from one field to another, and markers including signposts and small yellow footpath signs. Keep to the center of the first couple of fields of pastureland and then to the right along the stone wall after you pass this stone stile. 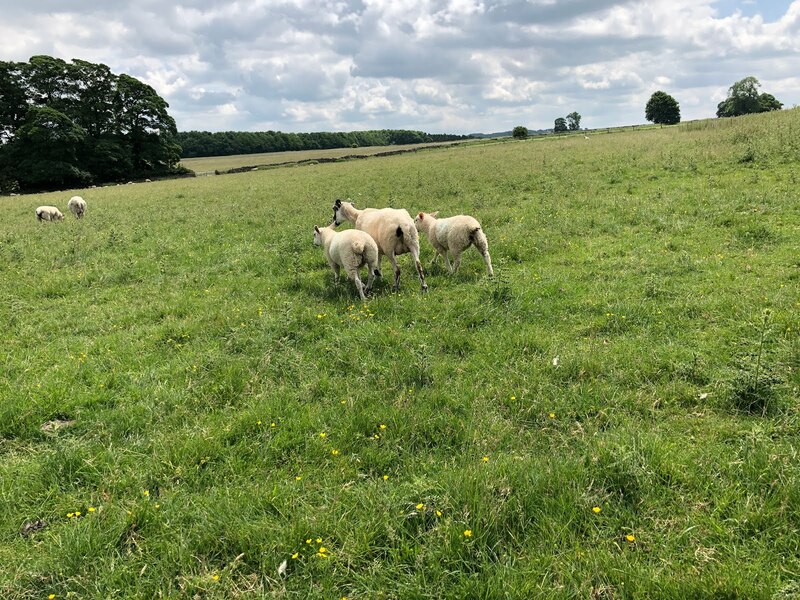 The rural scenery is a delight and we were happy to see spring lambs in one pasture and poppies scattered in a nearby wheat field. We walked through a number of fields and over stiles. We crossed one small road in a gradual ascent until we saw a farmhouse on our right. At which point we arrived at the small village of Over Haddon. Here we caught up with another couple of walkers (note they were wearing proper boots!) who had started out with us but appeared from a different direction having taken a wrong turn despite having a copy of the Ordnance Survey! 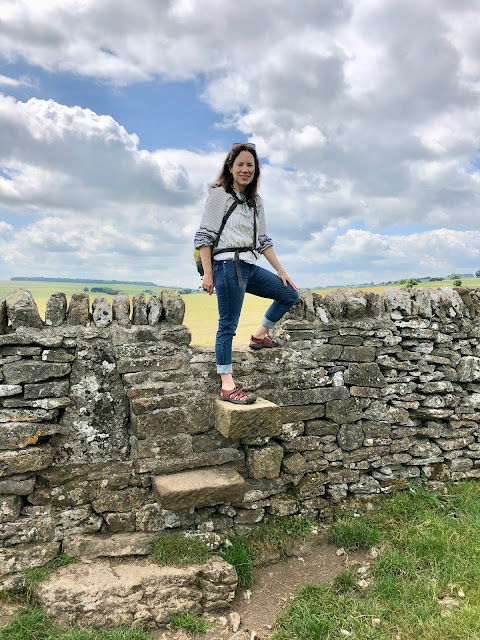 We were astonished to find we had gone the right way, proving that walking on paths through farmland is harder than it looks! 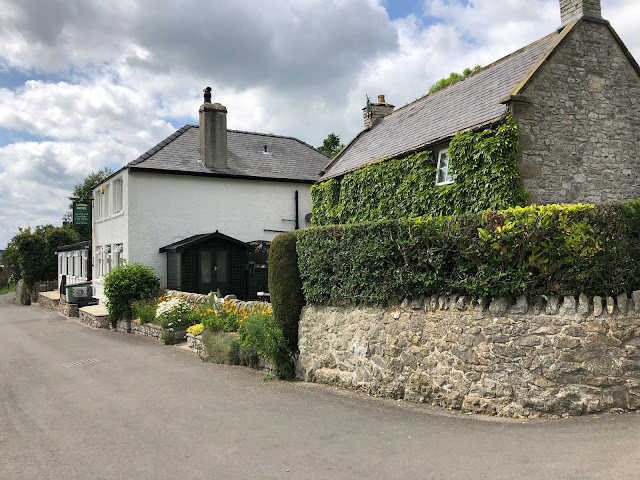 Many of the walks in England involve walking to or from a pub and sure enough the pub in Over Haddon The Lathkill Hotel is where our walker friends were heading. From here you can see there was a beautiful view over the Lathkill Dale and the surrounding countryside. We didn't stop at the pub and after a chat headed out of the village on the road to Bakewell looking out for a footpath on our right cutting down through the fields into the town. The views were glorious and eventually we found the route through the fields on our right. 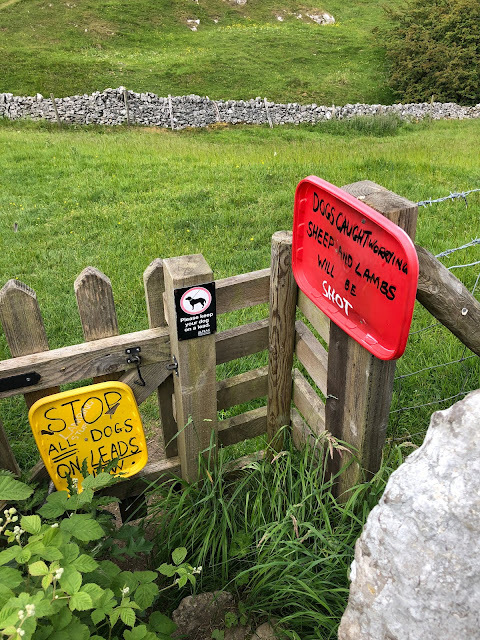 At a small gate going into a field with sheep there was a notice stating "STOP - all dogs need leads NOW" and that "Dogs caught worrying sheep will be SHOT". Having spent plenty of time in the British countryside this wasn't surprising, farmers take their new lambs very seriously and they have to right to shoot loose dogs they find in their fields. Whether you see a notice or not, dogs should be kept on their leads particularly in lambing season. One of the joys of walking across farming land is all the sheep you'll see and it's a necessity to protect them too. The stone walls bring a real beauty to the area and create patterns of beauty on the landscape. As we came down the hill the paths was hard to find but we could see the town and the school which we were aiming for. 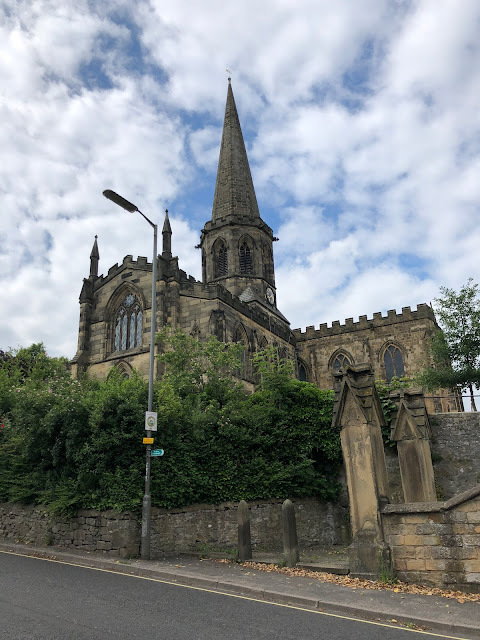 We walked on a pathway alongside the school and past playing fields on our left and then down through the town past the church, below. Bakewell is a pretty town and a great place to stop for tea and cake which is just what we needed for the last stretch. 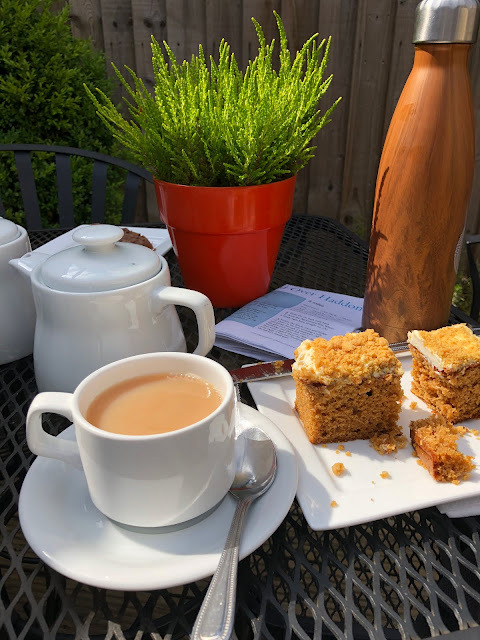 It's famous in the UK for Bakewell tart which involves pastry, jam and an almond cake topping, but I confess the ginger lemon cake looked better to me! Crossing the pretty river in the center of town we walked through the car park and towards what was known as the Agricultural Way where we turned right and followed the footpath, first along open meadows, and then along the river. At this stage the walk is flat and it makes for an easy ending though as you're close to the river you may have quite a lot of small knats to contend with. There was a good deal of variety along the way which kept my interest and at about six miles the hike wasn't difficult. There are lots of great walks in the area but this worked well for us as it paired well with our visit to Haddon Hall. Highly recommended if you happen to be in this part of the country.